Capacity: 8 weeks of age to 50 lbs per seat; 100 lb total, occupant plus luggage; from birth with the use of an Infant Car Seat Adapter and compatible Infant Car Seat. Maximum occupant height is 44in. Do not exceed maximum weight or height, as stroller could become unstable. I love this stroller... it's a smooth ride and an easy push. It works great for jogging or walking. I have not had any problems getting through doorways. The kiddos love riding in it! I was hesitant to buy a double bob stroller due to price. However it�€™s been worth every penny. It�€™s a quality stroller and my 12 week old can lay reclined while my 3 year old sits next to him. 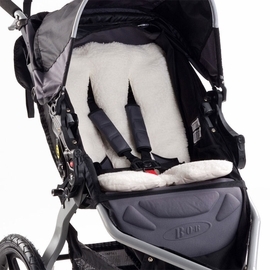 I wish that bob did make a double stroller attachment for the nuna car seat. I love this stroller if I�€™m using it for walks around the neighborhood. Its a super smooth ride and my kids love being side by side, compared to my Vista which is bottom/top. They are able to recline and nap and don�€™t feel a single bump. I don�€™t love it for every day/in and out of the car/shopping use. Unless a store has a double door you�€™re out of luck as it doesn�€™t fit in most single doors. It�€™s also super heavy and bulky to lift in and out of a truck for daily use. The duallie double is exactly what we will need after our second child is born in a month. 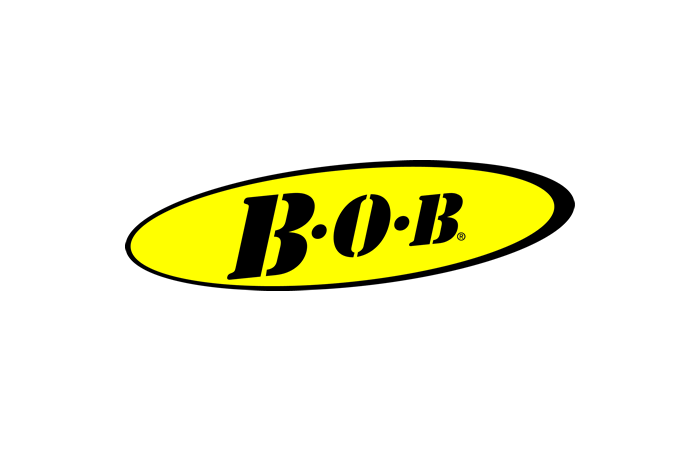 We haven�€™t actually used it yet but we have the Bob Flex single and love that. The double is constructed the same way, very durable and still easy to fold up and down and equally as easy to get it in and out of the back of our Jeep. I've been eyeing the Bob for a long time but settled on a cheaper double jogger a few years back. While it was a decent jogger it just wasn't the Bob. I could feel every bump I hit on the road, the seats didn't recline as well and just wasn't nearly as smooth as my Bob. So glad I took the plunge and bought this stroller!! It's incredibly smooth, provides great shade and perfect for walks and runs. I do wish the fabric were a little thicker and it's definitely not a space saver by any means but still an overall amazing stroller. I�€™m expecting my second baby and was asking a friend about doubles and she has an older bob double and let me check hers out......needless to say I fell in love and bought one! Plus with my coupon I got this one WAY less then anyone else out there and shipping was fast! So far it seems like the perfect size for 2 under 2. 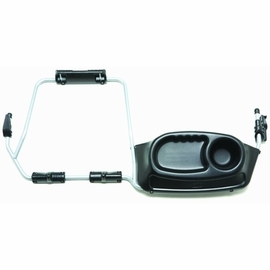 One with a carseat adapter and one in the seat with a snack tray. A little big to fit through a standard house door frame but folds easily and doesn't take up too much trunk space. Also easy to steer with tough terrain wheels. I had been eyeing this stroller up since we had our 2nd child and finally we made the jump and bought it. WE HAVE NOT BEEN DISAPPOINTED! 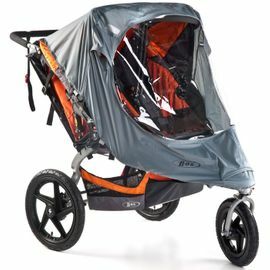 My husband and I run (him more than me...:) ) but this is PERFECT for him/us to take the kiddos running while still being not too bulky to use as a everyday stroller, for say trips to the zoo. Plenty of space for both my 4 year old and 2 year old to have room and not be pushing each other, but definitely sturdy enough I will feel safe putting the new baby in it at some point too. *adjustable handle! we are all different heights, so it makes sense that the handles should adjust! plus I like it at a different level when running vs regular. *I also love that each shade is adjustable separately, bc of course the kids want different things at different times. 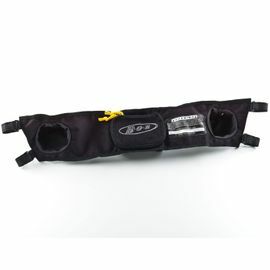 *you will definitely need a stroller/parent caddy - wish they would start to include this! although I was not impressed with the one by BOB and ended up buying a different brand that had MUCH more room. *I also wish they would include the snack trays! these also are a very well needed extra feature. Overall this is a great, great stroller - well worth the money! 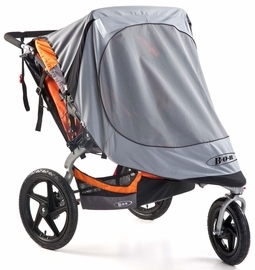 think of all the things you are missing/wish your current double stroller had and I am sure this BOB stroller will cover it. For anyone who runs, it is a must! We have a single bob jogger and LOVED, I knew a double would not disappoint. This stroller will serve our family for YEARS! Such a great investment, plus can�€™t beat no tax, no shipping and 20% off! Paid way less than amazon! Best deal I could find on the BOB Duallie on Cyber Monday. I had never heard of Albee and was a little nervous ordering but the order shipped right away and I had it within 2 days. Stroller is perfect! Will definitely order from Albee again. The double Bob is big, so I would guess it wouldn't fit in a small car. I can fit it in the trunk of my Forrester but it is awkward to get in there. I have three little kids (ages 4, 3 and 2) and one on the way and this stroller is a MUST!! I had a tandem stroller for a little while when my first two were born and it was IMPOSSIBLE to maneuver after they were past 18 months old. But the Bob Flex Duallie is a DREAM to push! I can have two kids in the seats and one kid sitting on the foot rest and STILL push it with one finger!! If you have kids that are close in age, don't fight it... buy a double stroller IMMEDIATELY, you'll be so happy you did! 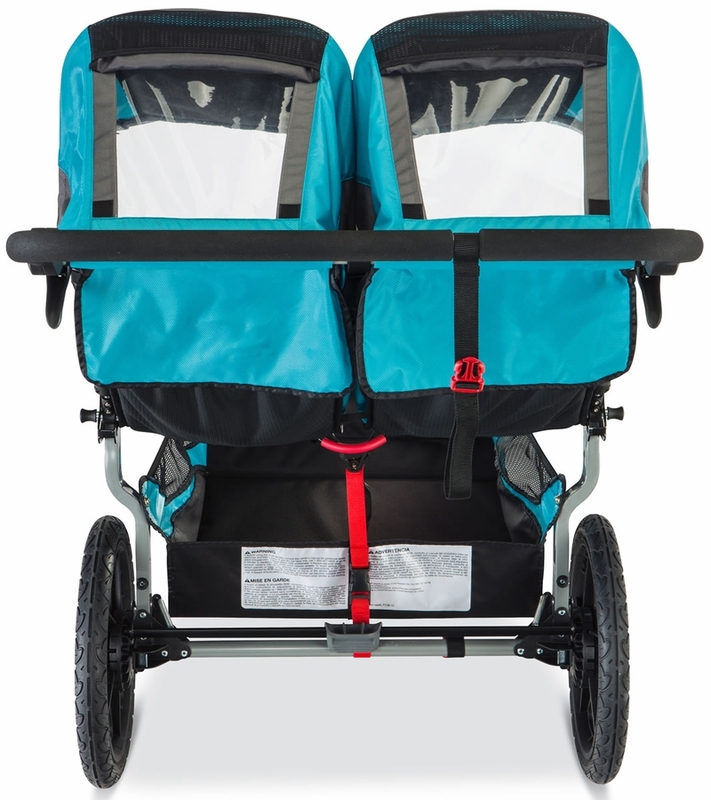 And if you want a double stroller you will LOVE, get the Duallie. I only wish I had bought this when my first two were born. I'll still get a ton of use out of it though. The Duallie has ample storage underneath. I can store a large back pack, jackets and a small lunch cooler. Plus there is storage behind the seats and next to the kids for their cups and snack bags. The seats recline to almost laying down. Ideal for naps! The sun shades on these are AMAZING and cover the kid entirely when they nap. No need for the added blanket usually used. For those parents who are looking at this stroller and have 2+ kids, this is an IDEAL stroller, because your older one can easily sit on the footrest. Honestly, if I only had two kids who were 3+ years apart I would have gotten the single and just had my oldest sit on the footrest. But for those of you with kids close in age, the duallie is a MUST! Such a nice stroller! Sturdy, comfy for kids, easy to push.. only thing is it takes a lot of space in back of vehicle. We had another expensive stroller and had to constantly stop and pop the front wheel up over bumps in the sidewalks and such. When we took this bad boy on her main voyage we smiled from ear to ear the whole walk bc it just glided so smooth over every bump or imperfection. We have two twin boys that are at the top of the percentage charts in height and weight and so we wanted to make sure they boys would fit comfortably and have room to grow since they are only 9 months. They love to ride in this jogger. so so so happy we purchased this! Obviously larger than my bob stroller maneuvers extremely well! It also breaks down extremely easily. Love Love this Double Jogger. 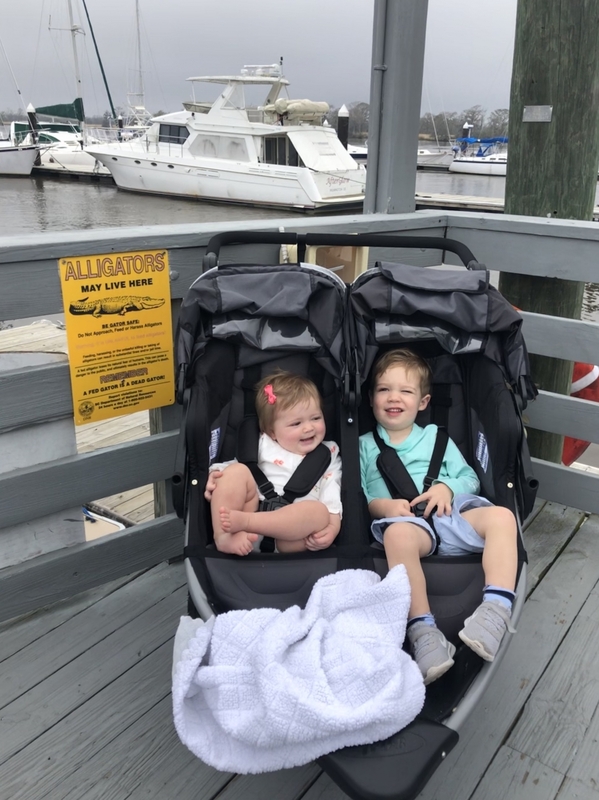 My husband and I absolutely love our Bob Flex Duallie Double Jogger we purchased from Albee Baby, I was a bit hesitant to spend this much on a Double Jogger but I�€™m so glad we did. I think we�€™ve used it every day since we received it, my 3 year old son loves it and so does his 5 1/2 month old baby brother. I told my husband it�€™s like the Cadillac of Joggers, it rides so smooth. It turns on a dime and is so easy to use, I�€™m very thankful I came across Albee Baby. I was able to get 20% off the price of the stroller which was great �Ÿ�— also the color o got was on back order, so I was worried it may take a while. But I received it within 2 weeks of ordering it. ProsThe storage basket is so spacious, I can fit quite a bit. I use it to walk with my kiddos to the commissary and shop. Best UsesFast walking and a nice easy Jog, as I’m not a fast runner. Lol! We love our double Bob! Great for outdoor adventures like the zoo! Easy to fold up and put in the car! My kids love the ride!! 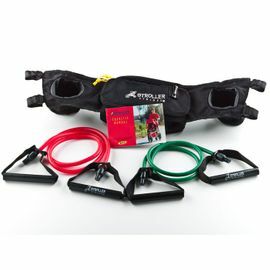 Makes running and working out easy and fun!! 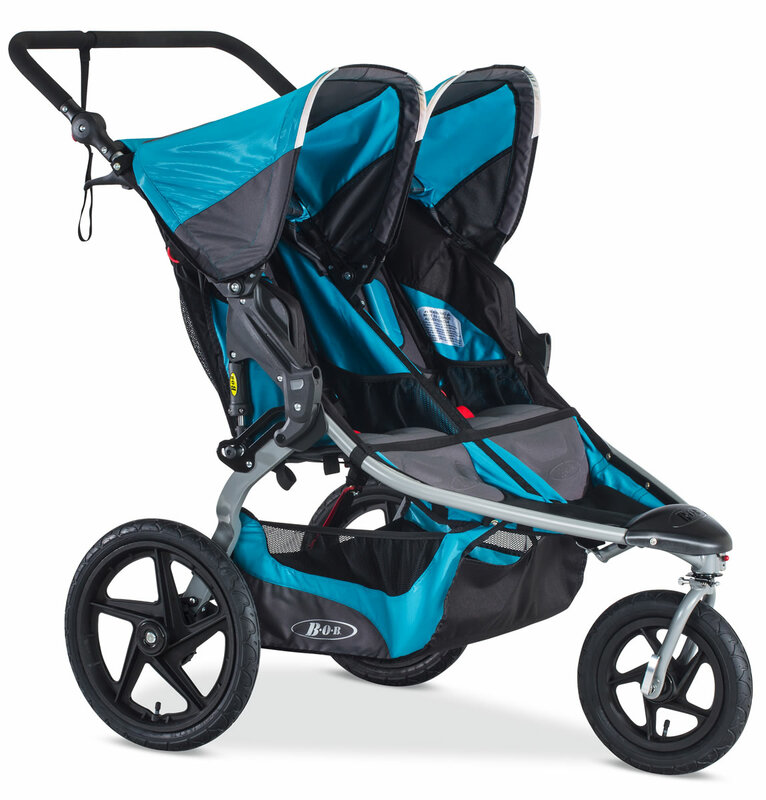 This double stroller is hands down amazing for outdoor adventures! It is super easy to maneuver and glides easily without extreme effort! Highly recommend and worth the price! When my husband and I found out we were having twins, we knew right away the only stroller we wanted to purchase was the double bob. This was after a great experience with our single bob for our first born especially due to the unmatched suspension and adjustable handlebars. BOB strollers never disappoint. The only stroller you'll ever want to push! Hands down the best double stroller. Albee Baby by far had the best price for this stroller too. I priced out almost every store and found Albee Baby had the best price with their 20% promo. This stroller is amazing. I can push my two little ones with one hand and hold my older daughter�€™s hand with the other. 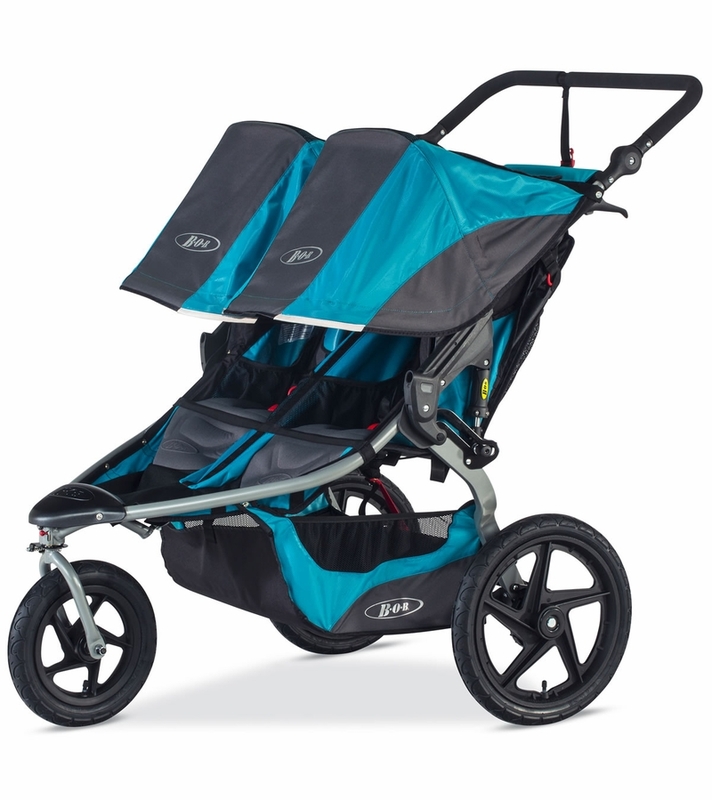 I previously owned an older BOB duallie so I knew how amazing these strollers are. It made buying the newest BOB Duallie a no-brainer. I love the improved seat cushioning and comfort. The larger bottom basket allows me to put my huge mom bag under the stroller. 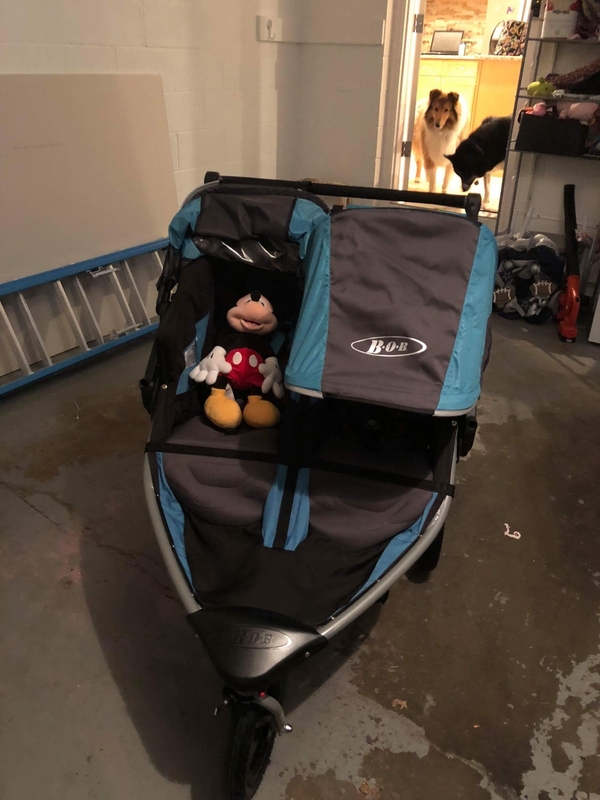 We are looking forward to taking this stroller to Disneyland soon. 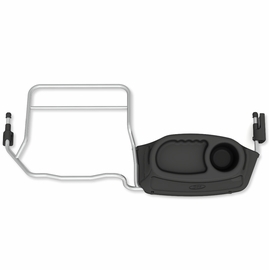 ProsThe push bar can be raised to a comfortable level for my height of 5.7 for easy pushing and to a higher comfort level for my husband who is 6.2 - no more bending over. Consexcept for price, I haven't found any yet. Best Usestransporting grandchildren up to age 8 over smooth and rough terrain!!! I am very happy with this purchase! 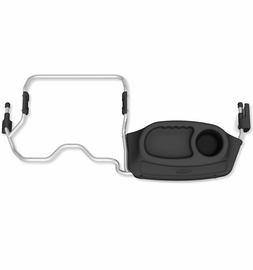 The only thing I need before i can use it more is an infant car seat adapter! Best UsesLong walks and runs on ALL terrain! I bought this stroller for my daughter-in-law, she is a daily jogger. She couldn�€™t be happier with it. I could have gotten some off brand jogger much cheaper but after checking reviews, I really felt this would give her many years of jogging with my twin granddaughters. It was totally worth it, my only complaint if you can call it that is it�€™s really big and will take up some room in you car/suv. 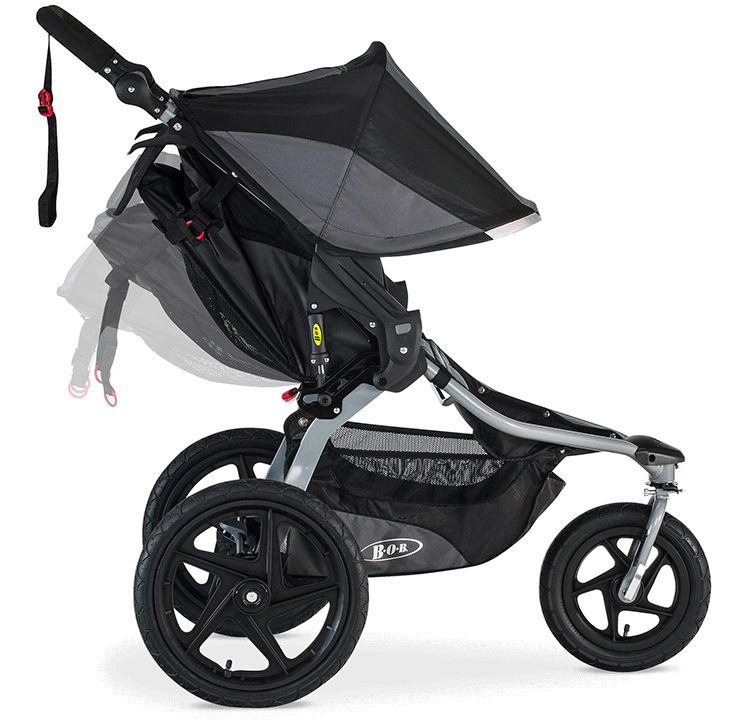 Other than that it�€™s a smooth and easy to push stroller. ProsSmooth to push and a easy turn radius. 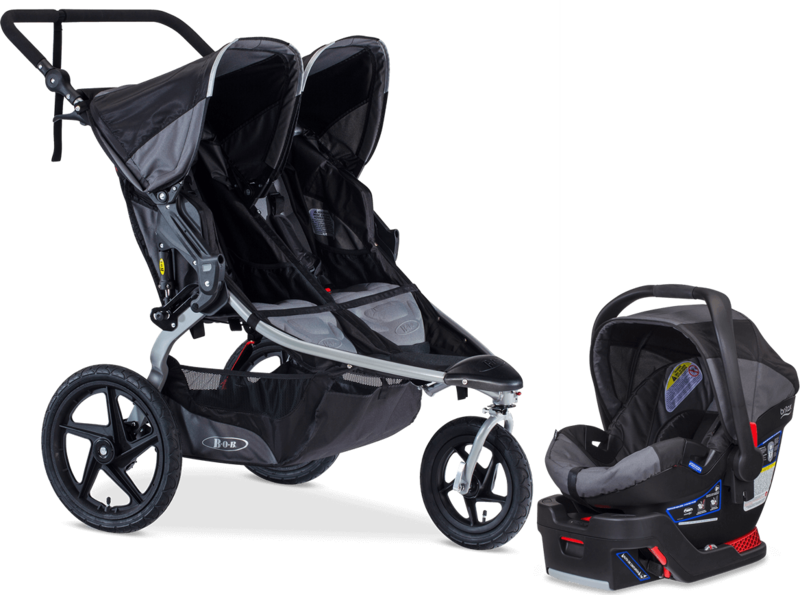 ConsIt is a big stroller and takes up room in your vehicle. My husband and I use to run together all the time before we had kids. We have a one year old and a two year old now and felt like we needed to try something new to get back in shape. The price of this stroller kept me from purchasing it for a long time but then Albee Baby had the stroller on sale so I went for it. We have used the stroller to run almost every weekend since. We are thrilled with how easy it is to push and the fact that we are able to get out as a family to enjoy some excercise. Love it! I have multiple strollers and have a great back to front double for everyday use. After a few walks with my new BoB stroller, I finally understand what all the hype is about! It�€™s very easy to push and seems like such a smoother ride! ConsBulky, and sometimes hard to open up. If you have multiple children, this is the best stroller you could own. It is so easy to push and a smooth ride for the little ones. Only issue i could think of is that it is a little heavy when folded up, but this really isn�€™t a problem for me. This is actually my 2nd bob duallie. I got my first one from my sister who was done having children and it lasted about seven years total. My husband and I thought we were done having kids and gave it to family who had two kiddos under two. We ended up having a baby and I immediately regretted giving the stroller away. I saved up and purchased a new one! The 2017/2018 bob duallie is way more comfortable for the kids than the older versions. We live in California and shipping took about a week. I got a great discount price through this website so I couldn�€™t be more happy! We also have a tandem stroller and the push on this one is SO much fun easier!!! Fits in the trunk of my Jeep Grand Cherokee, fits through a standard doorway, huge canopy and kids like riding in it. 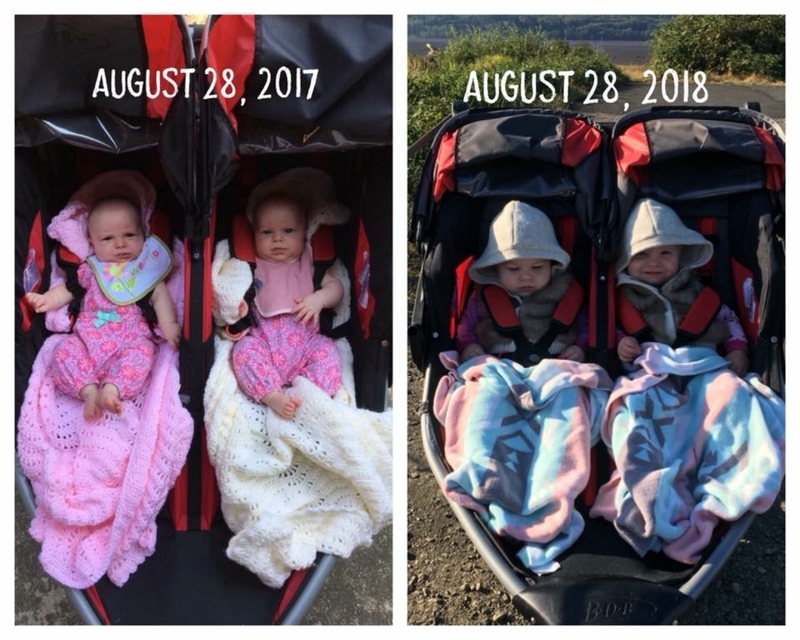 My kiddos are 1.5 and 3.5. Bonus is there's even room for our small dog to ride up front when she gets tuckered out. After pushing dual travel strollers at Disneyland, you'll find this stroller delight to push around. It was a struggle with our travel stroller, the big wheels and suspension makes this worth the trade-off in size. This stroller can push two bigger kids like nothing! Seriously a great investment. We LOVE this stroller! Its such a smooth ride and easily transitions from cement to grass. We have two kids under two and needed a quality double stroller. We have a Chicco tandem, but it is extremely heavy to push. BOB strollers are very expensive, but we had a single BOB that we got with our first child and we really liked it, so decided to pull the trigger and buy the duallie. It's a great stroller, and the seats recline so much we actually didn't need to purchase the infant seat attachment, we just recline the seat all the way back for our 4-month old and he lays in there comfortably and the seat straps keep him in place. 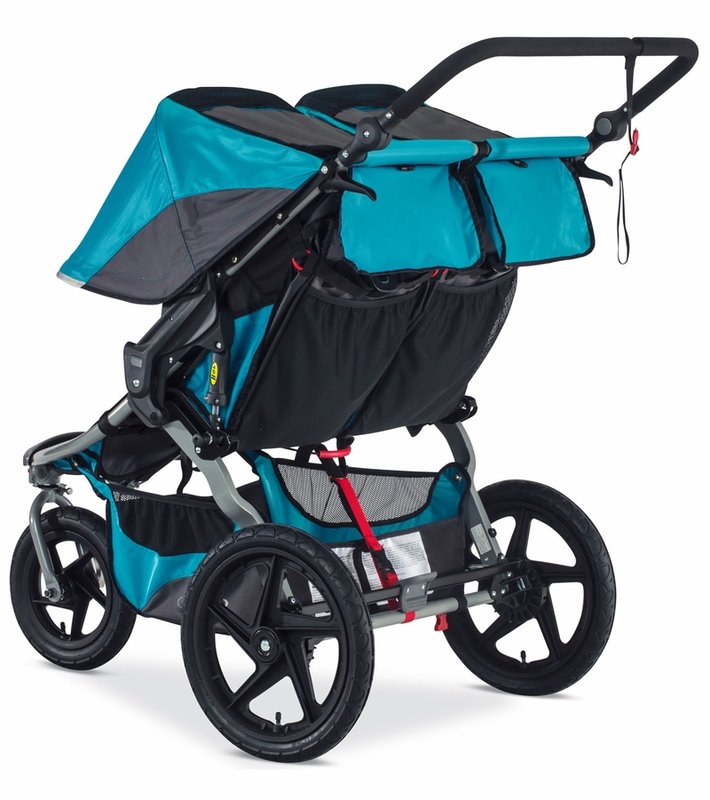 This stroller is extremely easy to push compared to other double strollers, and relatively easy to turn/maneuver. It is bulky (but what double stroller isn't) and so it takes a lot of room in the trunk - we have a mid-size SUV and it pretty much fills the back when we take it places - i'm not sure you would be able to fit this stroller into the trunk of a sedan. And it is very heavy to lift in and out of the car. The only thing I would change is making the underneath storage compartment deeper or somehow bigger so you can easily slide a diaper bag that is filled with stuff for two kids (which is why you have the double stroller in the first place....). The storage compartment is wide because it goes under both seats of the stroller, but depth is my issue and I have to really push and shove our diaper bag to get it into the storage compartment - and there is an annoying strap that runs down the middle of the undercarriage storage that you have to push the bag around. I don't want to carry around two diaper bags, so maybe this could come up with a deeper storage compartment in future models. I live in an area where there are a lot of trails and up hills and down hills. Not a lot of sidewalks to walk on. I call the BOB the caddilac of strollers! It allows me to get my kids out for walks and adventures that we wouldn't be able to do in a normal stroller. 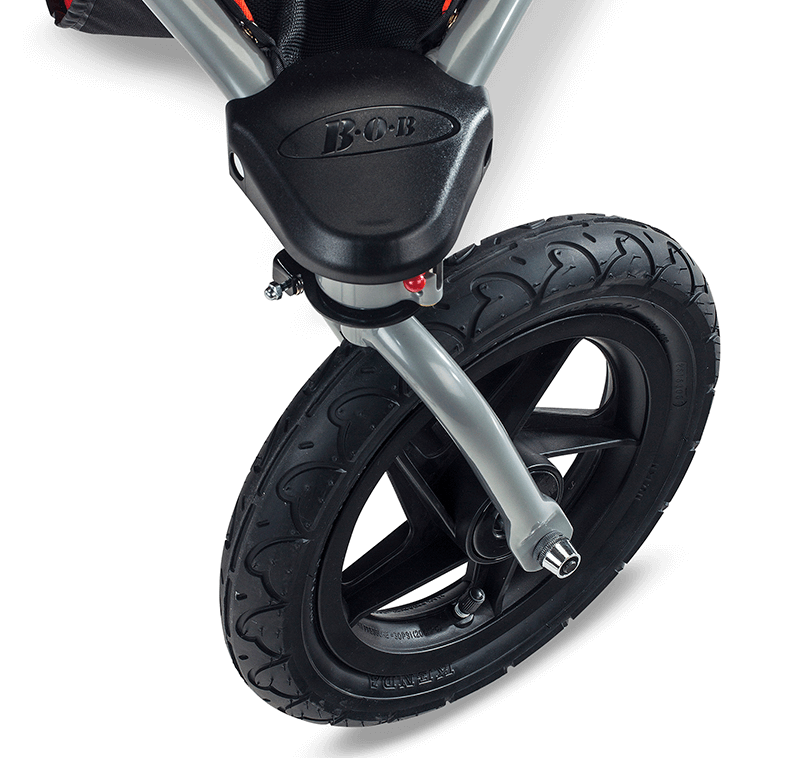 Bob Double Jogger can't be beat for performance, ease of use, comfort for the riders, and durability. I won't buy any other brand. Love, love, love this stroller. We had a single BOB but had to get the double when #2 came along. Its gorgeous, built like a tank, and a smooth ride. It is heavy to lift and very big to store, so make sure youve got a nice place to park it. We had the Bob single and used it for everything - Disney, running to the store, jogging around the neighborhood. It was great so we decided to purchase the dualie. Baby #2 isnt here yet but our toddler was excited to ride around the block by himself so we took it out...Its huge and heavy. But its a double stroller - I guess that comes with the territory. I was looking into the Bumbleride Indie Twin, but for the price difference this was a better option and the Indie is only made for light jogging - I hope to be running soon after baby -#2.In usual Bob fashion it rides smooth and the seat recline is much better/easier than the previous model. Seats are narrower than the single but with some maneuvering the stroller really does fit through our doorway...not so sure I will be able to manage that on my own.We got the meadow/green color - I wanted black but the color makes this stroller easy to pick out at the airport and easy for drivers to see when we are on the road. Its a nice green and was cheaper than the other colors. We love the Bob duallie jogger!! At first we were hesitant because of the price but it is well worth the money! 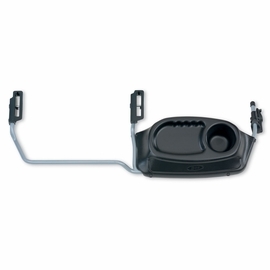 We have the single Bob jogger as well and knew the Bobs were a smooth ride! 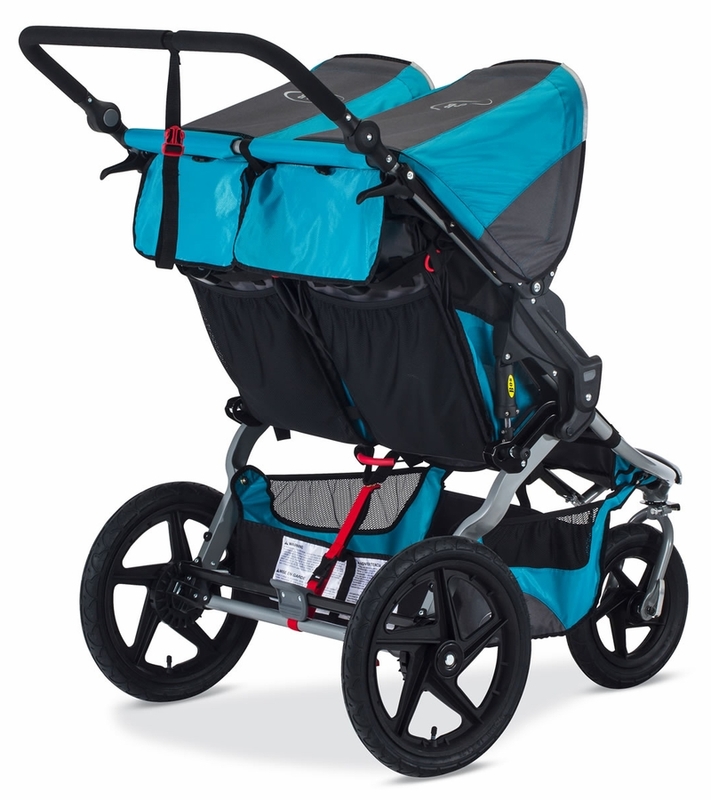 The duallie is obviously heavier and wider but great for active families with little ones! This double is worth every penny. It is so light to be a "big" double stroller and it moves so good. I love running with it. This stroller is a keeper! We debated on this stroller but it has been so worth it! Although it is heavier than what I am used to- which is to be expected going from a single stroller to a double stroller, it steers like a dream. It goes over and around everything. The balance doesn't even get thrown off if our oldest gets off to walk. We got the duallie flex in Black about a year ago during a 15% off sale. I AM SO IN LOVE. It's the smoothest ride, goes on all terrain (including snow and ice), the kids fall asleep within minutes. It's so great for walking, jogging, anything. It practically pushes itself. My husband loves it also. I would never ever wish for any other stroller. I recommend the parent tray for sure. The under carriage basket has tons of room - we get backpacks, coolers, blankets, toys, all sorts in there. By 4 months I stopped using the infant carrier insert and just strapped the baby in next to his big bro. It's very secure and a smoother ride for baby than being on a ride in the car. I can't say enough. It's worth the money! We had a graco single jogger which was def fine and did a good job for us (even ok jogging) but MAN, the Bob is a dream! I cannot wait for Spring when I can get out and start running! For now I have the stroller assembled in my basement. I love the look, quality and push of the stroller. My tall 2.5 year old sits perfectly in it! Great addition to my stroller line up!!! 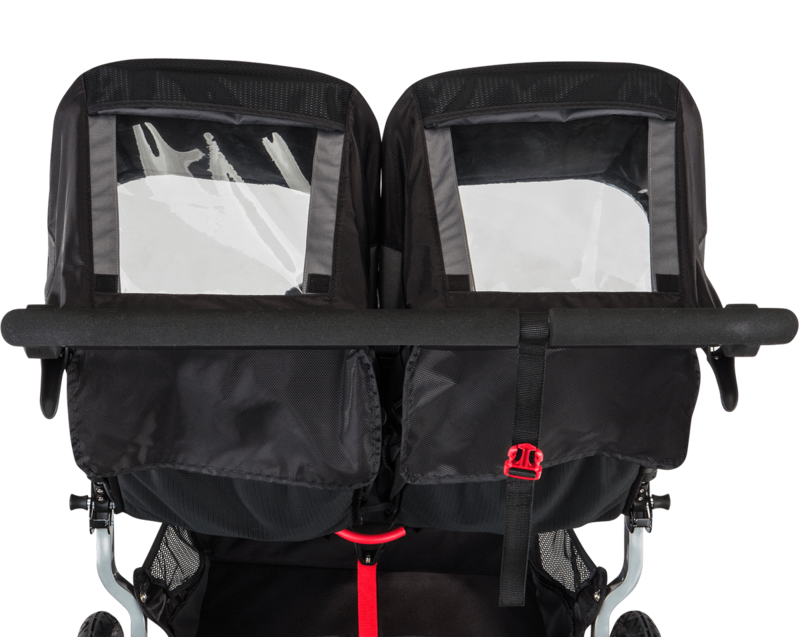 This double stroller has such a cult following for a reason. It absolutely glides when pushed, almost no effort needed. 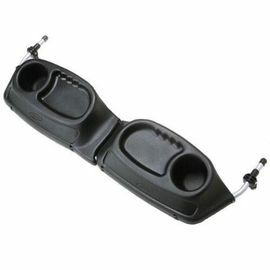 Fits our 20 month old and newborn with the car seat adapter very comfortably. We live up an un-maintained dirt/gravel road and this stroller has no problems navigating the bumps, rocks, and holes we encounter. My only complaint, and I knew this before purchasing, the thing is heavy. It definitely isn't meant to be your quick, keep in the trunk stroller. Not that big of an issue since we generally leave it in the garage until our next adventure but I do struggle with loading and unloading it if we decide to go to the zoo or parks in town. We can go anywhere in our double bob!! It's great for running, any outdoor activities, and fits through all normal size doors. When I first got it I had a midsize car so I did have to remove the back wheels to fit in my trunk but it only took a couple of minutes and was super simple. Easiest to roll, fits between most doors, good quality construction. Somewhat awkward to fold and does weigh 30 lbs- you will stay fit lifting this stroller. I would recommend to others! Love my new Bob double stroller! Very good price for a great product! 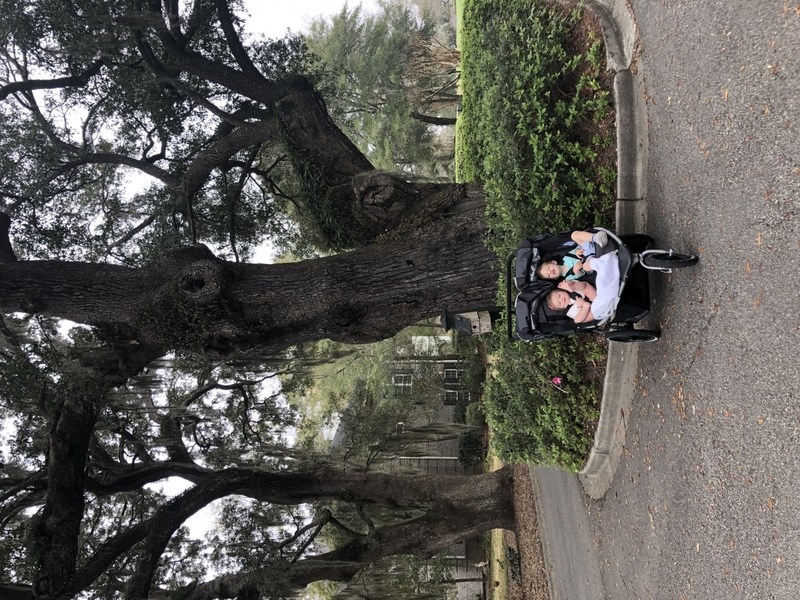 I have not taken the stroller running yet as I just had my baby but we have taken the stroller walking with the toddler and newborn in it and I must say the stroller moves so smoothly! Bummer that I had to purchase the car seat adapter separately but I am excited to get running again with this new stroller! Does this stroller accommodate 2 infant car seats.